At Transfiguration Elementary School, we value the arts as an integral part of our curriculum. Students are given a unique opportunity to develop their creative and personal potential to the fullest while pursuing excellence in their academic studies in a vibrant and stimulating environment. 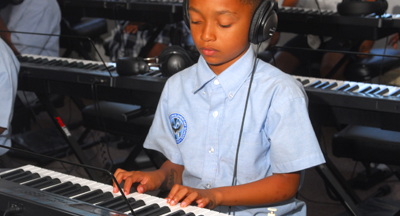 Key to our students success is a curriculum including the visual, performing, and media arts. Grade level teachers weave art into instruction, creating a unique and well-rounded developmental environment. The arts are shown to benefit cognitive development, critical analysis, problem solving skills, and self-esteem. Students who are consistently involved with the arts are shown to do better academically and have higher literacy and attendance rates. Furthermore, the arts give student the opportunity to develop new skill sets and learn from various historical and cultural traditions. 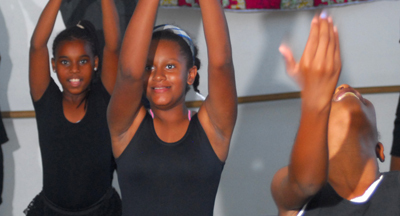 Through dance students develop physical fitness, coordination, good health, body awareness, and a feeling of self-worth. The self-discipline and creative thinking skills involved in dance can be transferred to many other activities. All dance students are required to participate in a variety of student performances. Dance courses are enriched by a variety of events including guest artists, films, and dance excursion. Visual arts courses in our program introduce students to the basic disciplines of the visual arts. 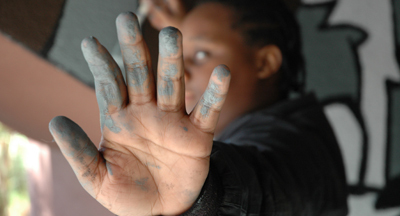 Students will explore the creative process and create works of art utilizing a variety of media and techniques. In addition to art practice, art appreciation will be presented to help students analyze the role and development of visual arts both in the past and present. Through the foundations of musical instrumentation students are prepared to learn the technique of playing an instrument. Musical instrumentation teaches the importance of practice, discipline, and cooperation. It also creates a sense of individual and group achievement. Our vocal program at Transfiguration aims to develop and integrate the singing voice with artistic performance, technique, and musical experiences, the study of singing contributes to spiritual growth and social and cultural awareness. It also encourages the intellectual and emotional development of the individual.